Is Laboratory Science Right For Me? Laboratory science professionals in healthcare play a vital role in the diagnosis, treatment, management, and prevention of disease. These professionals act as healthcare detectives behind the scenes, using both state-of-the-art biomedical instrumentation and manual methods to provide laboratory results to clinicians. It is estimated that 70% of all medical decisions are based on laboratory results generated by laboratory professionals. Medical (clinical) laboratory professionals work in disciplines such as clinical chemistry, hematology, immunology, immunohematology, microbiology, and molecular diagnostics. 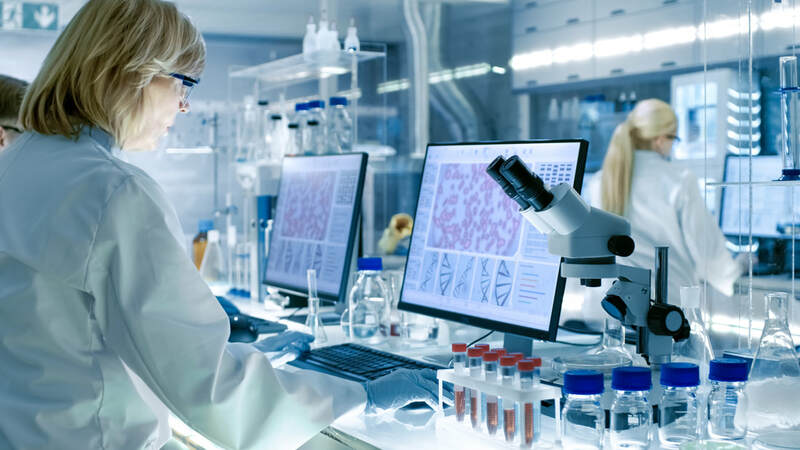 Medical laboratory professionals generate laboratory test results and provide consultation needed to aid in detecting cancer, stroke, diabetes, infectious disease, birth defects, heart attacks, and more. ​Laboratory professionals working in anatomic pathology include cytotechnologists, histotechnologists and histotechnicians, and pathologists’ assistants. 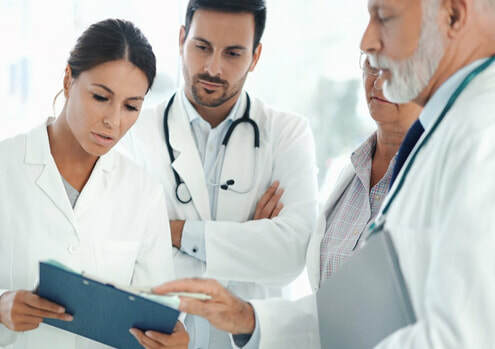 These professionals aid in the diagnosis and treatment of tissue and cellular abnormalities, such as cancer, precancerous lesions, and benign tumors. Laboratory professionals are able to move out of the laboratory setting and into careers such as public health, research, and industry. Without precise and diagnostic information provided by laboratory science professionals, answers to life-and-death healthcare decisions would not be possible and medicine would simply be based on guesswork. Although clinical laboratory testing dates back to ancient times when diabetes was diagnosed by tasting urine, or in the 17th century when scientists looked for bacteria under early microscopes, the profession of clinical laboratory science (medical technology) was not recognized until the early part of the 20th century. Shortly before World War I, the first clinical laboratory scientists began working in clinical laboratories. During the war, and in the years that followed, a critical shortage of trained laboratory personnel developed. Pathologists began to hire young women, training them on the job to perform simple laboratory tests to address this shortage. However, there were no established training standards, and few institutions offered a systematic method for instruction. One of the first programs in laboratory science was offered at the University of Minnesota in 1924, offering courses in medical technology for clinical and laboratory technicians. Around this time, the first definition of a clinical laboratory was coined: A clinical (pathological) laboratory is an institution organized for the practical application of one or more of the fundamental sciences by the use of specialized apparatus, equipment, and methods for the purpose of ascertaining the presence, progress, and source of disease. The 20th century marked the beginning of a quality movement in hospitals and laboratories, and many hospitals reorganized their laboratories so that they were headed by biochemists. Professional organizations emerged to help ensure the skills and knowledge of laboratory professionals, and to strive for professional recognition. 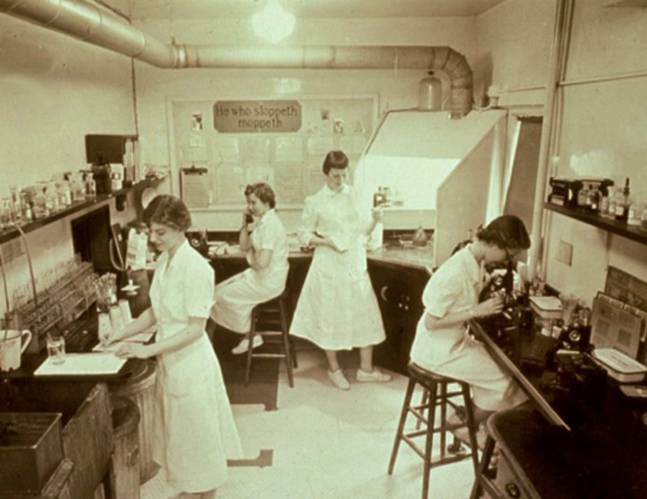 In 1928, the first medical technologist certification administered by the ASCP Board of Registry had 350 applicants, 80% of whom were women. By the end of the first half of the 20th century, laboratory medicine had earned professional legitimacy through contributions to diagnosing disease and discovering drugs to treat formerly life-threatening illnesses. Professional societies emerged to develop professional identity and to provide educational support.